Halloween is right around the corner. Pick up those finishing touch decorations, plan parties, finalize costumes and most importantly, brush up on proper food safety practices to prevent foodborne illness this year. Stop Foodborne Illness , a national, nonprofit, public health organization dedicated to preventing illness and death from foodborne pathogens, wants people to be aware of the dangers that can arise from food during the Halloween season. Educating yourself and your children is the easiest way to reduce the risk this holiday season. Whether you are going trick-or-treating or hosting a Halloween party, make sure you leave the scares to the dressed-up ghouls and goblins. Avoid homemade goodies from people you don’t know. The Centers for Disease Control and Prevention recommends avoiding eating homemade treats made by strangers since there is no way to ensure the person preparing them followed proper food safety procedure. Although everyone loves a good brownie or caramel apple, the best way to stay safe is to stay away. Fight the snacking urge. Make sure everyone’s had a light meal or snack before hitting the neighborhood streets. It is always tempting to enjoy a piece—or two— of the sweet haul while walking to the next house, but Stop urges trick-or-treaters to wait until they return home and can check that all treats are properly wrapped before eating. Wash your hands. Proper handwashing is always important in preventing the spread of dangerous pathogens but is even more important during this holiday. 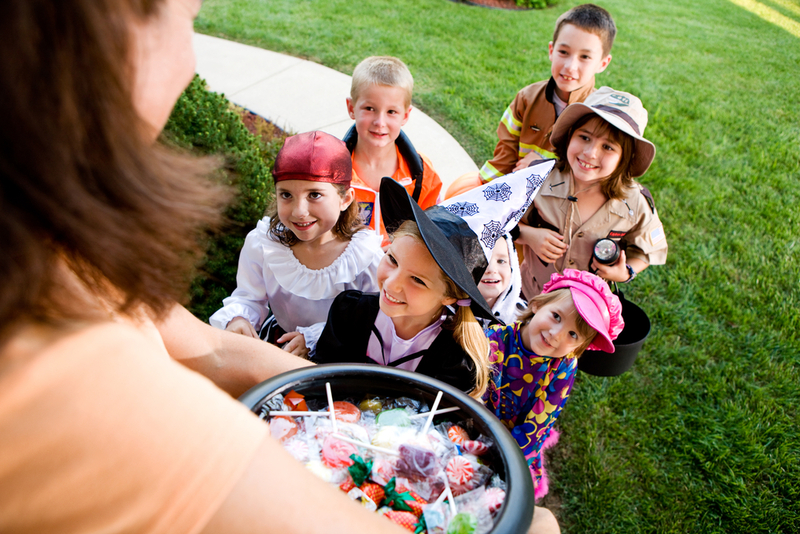 Between trick-or-treating and school Halloween parties, a lot of packaged candy passes from different hands, increasing the chances of contracting foodborne illness. Make sure kids are washing their hands before digging into their Halloween candy. 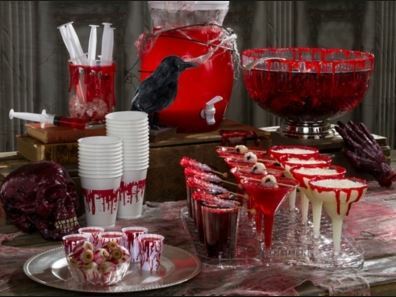 Hosting a Halloween party for friends and family? Let the ghosts in but say boo to bacteria. Stop Foodborne Illness has a few guidelines for entertaining your guests for a fun and safe night. Beware of spooky cider! Unpasteurized juice or cider can contain harmful bacteria such as Salmonella . To stay safe, always serve pasteurized products at your parties. Any dish or drink with fresh fruit—or veggies—must be thoroughly washed before being served. Prevent the spread of bacteria by keeping all perishable foods chilled until serving time. Bacteria creeps up when foods sit out too long. Don’t leave goodies—like finger sandwiches, cheese platters, fruit, salads, cold pasta dishes, Jell-O treats, store bought deli trays and cream pies or cakes with whipped-cream and cream-cheese frostings—out of the fridge for more than two hours (1 hour in temperatures above 90°F). Plan safe entertainment. Bobbing for apples is a classic Halloween game but having multiple people touching the same apples over and over again can present significant food safety risks. Reduce the number of bacteria that might be present by thoroughly rinsing apples under cool running water and using a produce brush to remove surface dirt. Or, give the traditional game a modern update : Cut out “apples” from red construction paper and write activities for kid—or funny dares for an older crowd—on each one. Place a paper clip on each apple and put them in a large basket. Tie a magnet to a string and let guests take turns “bobbing” with their magnet. Stop Foodborne Illness is a national nonprofit, public health organization dedicated to preventing illness and death from foodborne pathogens by advocating for sound public policies, building public awareness and assisting those impacted by foodborne illness. For more food safety tips please visit www.Stopfoodborneillness.org/awareness/. If you think you have been sickened from food , contact your local health professional. 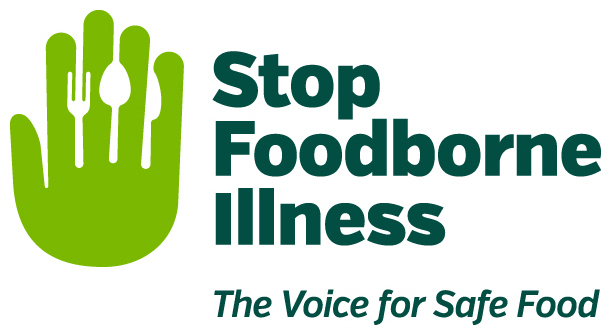 You may subscribe to receive Stop Foodborne Illness e-Alerts and eNews here: www.Stopfoodborneillness.org/take-action/sign-up-for-e-alerts/.